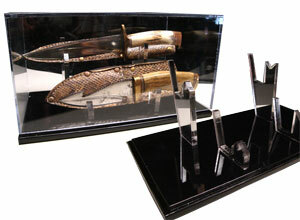 Display your favorite Randall knife, fixed blade or folding knife in this attractive acrylic case. With room for sheath or scabbard storage, this unit will display two knives nicely on any shelf. 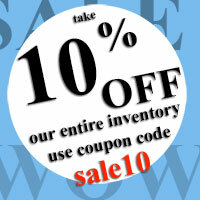 Keep your collectable knives looking great and dust free. All the edges are beveled and polished. There are four scratch resistant bumpers on each corner of the base. Lids and bottom posts are available separately, please contact us for details. Knives shown are for demonstrative purposes only. Knives are not for sale.